In the final article of our three part series, Arnold Levin discusses how learning styles directly impact work styles, why we should be more aware and cognizant of the importance of work styles in informing workplace design strategies, and how the current issues facing learning institutions have important parallels and implications for workplace design strategies. Read part one of the series here and part two here. In part two of this series I discussed how the initiatives implemented in The Lab School of Washington’s new high school facility were designed to respond to and enable learning strategies based on each students learning styles. I also explored how those learning styles correlate to work styles and what we in the workplace design and strategy community can learn from these strategies and initiatives. The discussion around individuals with learning differences and the importance of recognizing ones learning style as playing a role in, first, establishing meaningful ways of learning, and, later on, in self advocacy for securing a means for better performance in school and in work illustrates awareness of ones learning styles correlates to one’s performance. If designing high performance schools around learning styles as a means of achieving high performance is becoming common place, it is not difficult to then see how learning styles which inform work styles (an area of research that has been overlooked in all of the narratives around performance in the workplace) can have an equally important impact on designing and achieving high performance in the workplace. Learning differences illustrate both the problems associated with performance and how environments supporting differences in learning styles directly correlate to high performance. The world of learning differences can serve to highlight additional problems found within today’s workplace design solutions. Individuals with learning differences face particular challenges within the workplace, especially in dealing with work typologies that are increasingly found to support innovation. Individuals with learning differences face particular challenges within the workplace, especially in dealing with work typologies that are increasingly found to support innovation. In part one of this series, I outlined the attributes and challenges associated with learning differences. These challenges revolve around verbal and written skills, and the processing of information and the relaying of information. In organizations where processing and relaying ideas and concepts is of paramount importance and where the two primary venues for disseminating this information is through collaboration and electronic formats, the work environment needs to play an increased role of importance. Referring back to part one — where I used my daughters’ example of her struggles with dyslexia and ADHD and its impact on me in better understanding the relationship between learning and work styles — also illustrates the challenges and opportunities. Looking back to her years after The Lab School of Washington where, in a mainstream high school, she faced challenges associated with processing issues partially in the areas of collaborating with other students and verbalizing ideas within groups as well as directly to teachers within the classroom environment. For her, this collaborative environment was torture. She stood out as being different, and rather than acknowledge within the learning environment that those differences should be celebrated and recognized for their intrinsic value, she was ostracized and made to feel out of place. Similar to today’s workplace, today’s learning environments place increasing importance on collaboration between students in projects and problem solving. Because she assimilated and communicated ideas and information differently than other students who did not have dyslexia, she continually found herself in frustrating and emotionally upsetting situations. Moving beyond this to adult work environments, collaborative work environments pose can be equally challenging to individuals like my daughter. How we learn from this and understand its implications on workplace environments will be discussed later in this article, but it serves to illustrate the importance of the need for a sensitivity to learning and work styles in enabling performance within organizations. The interesting conundrum relating to what constitutes high organizational performance is this conflict between those attributes of individuals with dyslexia and ADHD and entrepreneurship (see part two) and those conflicts within an entrepreneurial workplace where processing issues potentially are at odds with collaborative work environments and processes. Shifts in thinking about learning and education are important in further viewing the relationship and the importance between learning and work styles. At the Fall 2013 meeting of ULI in Chicago, during a session called “Space, Place and the Future of Learning,” the panelists delineated a number of themes and issues that reinforce this interconnectedness. Among significant changes cited at the conference were emerging new methods of teaching and learning that are based on an improved understanding of cognition. Associated with this, the panelists identified three areas that support new ways of learning: collaborative, active learning with hands-on experience; integrated, multidisciplinary learning; and distributed learning, where learning takes place anywhere, anytime. Notions around cognition and new ways of learning directly relate to the central theme of learning styles, the processing of information and learning methodologies that involve both process and physical space. Andrew Harrison, in his book with Lee Hutton, Design for the Changing Educational Landscape, discusses three seminal forces that are influencing learning: integration, changes in learning styles and learning tools and supporting systems. These three influences relate directly to ideas around learning styles and begin to demonstrate correlations between learning and work environments. Interestingly, these three influences are very much similar to those forces shaping today’s organizations and their relationships to work environments. Forces for integration involve just in time learning, interdisciplinary explorations around areas of innovation, experiential learning methodologies, fused learning patterns, and the convergence of media and IT technologies. Forces around learning tools and support systems include web delivery models, image sharing, simulation and augmented reality experiences, the proliferation of mobile devices, availability of collaborative tools, and messaging and aggregation tools. These very same forces can be seen as of increased importance to today’s organizations. Ideas around the characteristics of T-shaped individuals are also attributes shared both in learning and business organizations. These characteristics reference individuals who have the abilities to bridge traditional organizational boundaries and move between disciplines. The T-shaped individual is the foundational component that transitions from learning to workplace. Research within SmithGroupJJR’s Higher Learning practice — and a resulting report, “Designing for the T-Shaped Student” — focus on learning environments that support and enable the T Shaped student. A spatial component found to be a critical opportunity is a “hinge” that can serve to blend research and instructional facilities. This could take the form of a commons or “sandbox” and is realized through a student union/activity center or more importantly hybrid spaces that comingle humanities and science departments with the objective of immersing students into the T-shaped learning experience. Similar thinking around space typologies within the work environment that enable breaking down barriers and silos can also be viewed as encouraging T-shaped employees. In a workshop that SmithGroup conducted with Michigan State University, participants gathered to flesh out those spaces that would foster learning environments around the T-Shaped student. Another of the environments identified was what the participants referred to as “transformer spaces”, defined as those spaces that would provide facilities dedicated to specific disciplines and departments but clustered around a shared “maker” space including facilities for meeting, serendipitous collaboration and shared amenities. Additional space typologies called for a “no boundaries classroom” or an innovation area that would serve to break down barriers and silos around disciplines. Again, we can see this correlation to workplace environments. Most importantly, the workshop acknowledged that students are not inherently inclined to be T-shaped. They noted that “broad and deep characteristics of both disciplines and systems are developed over time, and are both a result of education and a mode of operating effectively.” Participants concluded that designing learning environments in the context of facilitating that development and transformation was of high importance. The transformation involves both process and space. There are direct relationships between performance and one’s ability to engage successfully in work based on ones learning styles. Connecting back to the attributes of individuals with learning differences, the strengths associated with the T-shaped student included seeing the big picture, learning and re-learning how to communicate, preparing for and accepting to learn from failure, and the practice of self-regulation. Referring back to part two of this series, these are all of the attributes and needs of students and individuals with learning differences that should be capitalized on and become the focus of innovative work environments, whether they be learning or workplace. A component of this re-learning involves understanding one’s learning styles and how these can be adapted to and included as part of the T-shaped student. Transitioning from learning environments to work environments, these same attributes contribute to the T-shaped worker, which is a worker who is agile and can work across boundaries, and contributes to organizational performance within an organizational context associated innovation. Moving from learning styles to work styles is a critical component of this endeavor. Educational organizations are recognizing the importance of multi-disciplined educated students and their association with performance. As shown with SmithGroupJJR’s research, as well as the other works cited in this article, there are direct relationships between performance and one’s ability to engage successfully in work based on ones learning styles. If we are able to make the association that these very same learning styles are the same with work styles, we then have the ability to make a strong case that workplace design strategies enabling choice and reflecting an individual’s work styles will also result in better performance among employees and therefore higher organizational performance. The very same types of learning spaces that the ULI Fall 2013 meeting reference that support the new educational pedagogy around integration, learning styles and process tools are the very same that support new organizational requirements supporting innovation. 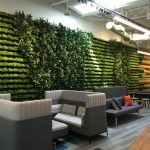 Thinking spaces, collaboration spaces, debating spaces, making space, sensing spaces, and presenting spaces as noted in the ULI meeting report are the same for creating innovation environments within business organizations. They no longer are unique for the world of learning. Performance related to work styles is unequivocally enabled, as in learning environments, by workplace design strategies that allow for both individual choice and space typologies that recognize individual learning and work styles. While activity-based work (ABW) environments have been acknowledged as having great importance for allowing for individual choice, I believe that the case for supporting the notion that ABW work environments result in high organizational performance can be linked directly to its facilitation of and recognition of the notion that learning and work styles are integral to high performance and that choice within work environments as evidenced in success within learning environments is long awaited proof. This is the final article in our three part series exploring the link between learning styles and work styles. Read part one here and part two here.